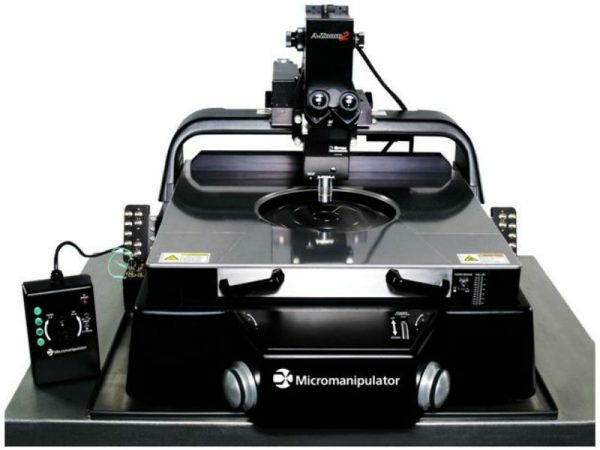 The Micromanipulator P300L 300mm semiautomatic probe station comes standard with features such as single-point ground and integrated thermal chuck plumbing. 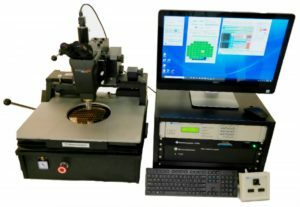 Built for reliability as well as precision, the P300L features leadscrew – leadnut stage and platen drives, a stainless steel platen with removable front wedge and high stability microscope bridge that supports all high resolution long-working distance microscopes. The P300L ‘s versatile controller supports USB and GPIB communications (configured with proper options). 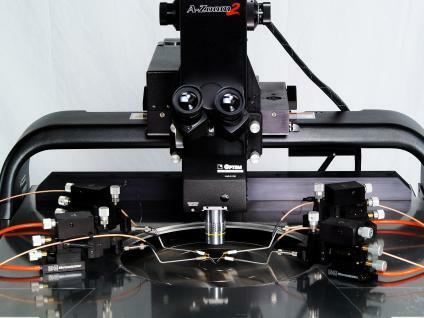 The stage X-Y and platen (Z) are motorized / programmable. Microscope motorized / programmable control is also an option. 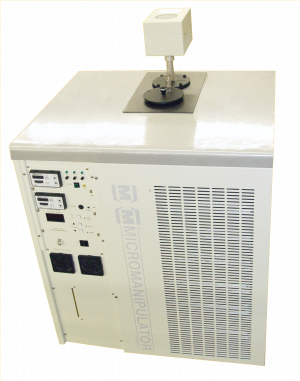 The system may be controlled via scripts and all popular parametric test analytical prober drivers. An indexing script with user GUI and a Labview VI is provided allowing use of the system right out of the box. 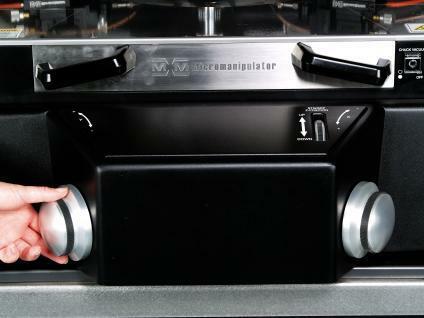 Joystick control allows for easy and quick operation when programmability is not required. 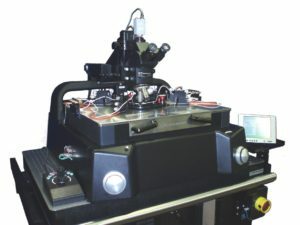 The joystick intuitively operates the station stage, platen, and microscope for systems so configured. The P300L is the station of choice for a high performance, full capability and cost-effective 300 mm semi-automatic probe station.